MS Dhoni’s following is unmatched and wherever the Chennai Super Kings (CSK) captain goes, he gets enormous support. 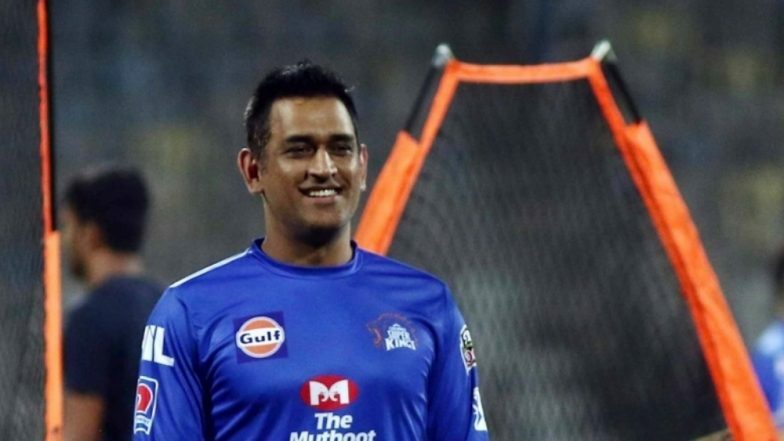 During the Indian Premier League 2019 (IPL 2019) we have already witnessed Dhoni recovering huge support even when playing in CSK’s away game. Meanwhile, MS Dhoni and Co. landed in Jaipur for their next IPL 2019 match against the home side Rajasthan Royals (RR). Empty Seats at MA Chidambaram Stadium Could Force IPL 2019 Final Out of Chennai. On arrival in the Pink City, fans in large numbers greeted the Super Kings skipper and shouted Dhoni, Dhoni. Chennai Super Kings uploaded the video of team’s arrival in Jaipur which shows fans lined up to catch the glimpse of Captain Cool. CSK will take on Rajasthan Royals (RR) in match number 25 of IPL 2019 at the Sawai Mansingh Stadium in Jaipur. CSK are currently on top of the IPL 2019 points table with five wins from six matches. MS Dhoni, Sakshi Take Nap on Chennai Airport Floor Before Boarding Flight to Jaipur for RR vs CSK IPL 2019 Match. Meanwhile, this will be the second contest this season between CSK and RR. In their previous meeting, Super Kings defeated Royals by eight runs in a closely fought encounter. CSK are the defending champions and are looking for their fourth IPL title this year. Dhoni has been CSK’s captain ever since the start of the IPL. He has not only led CSK to three IPL titles but two Champions League T20 titles as well. Dhoni in the ongoing IPL has thus far scored 156 runs in four innings, including 75 unbeaten against Rajasthan Royals.